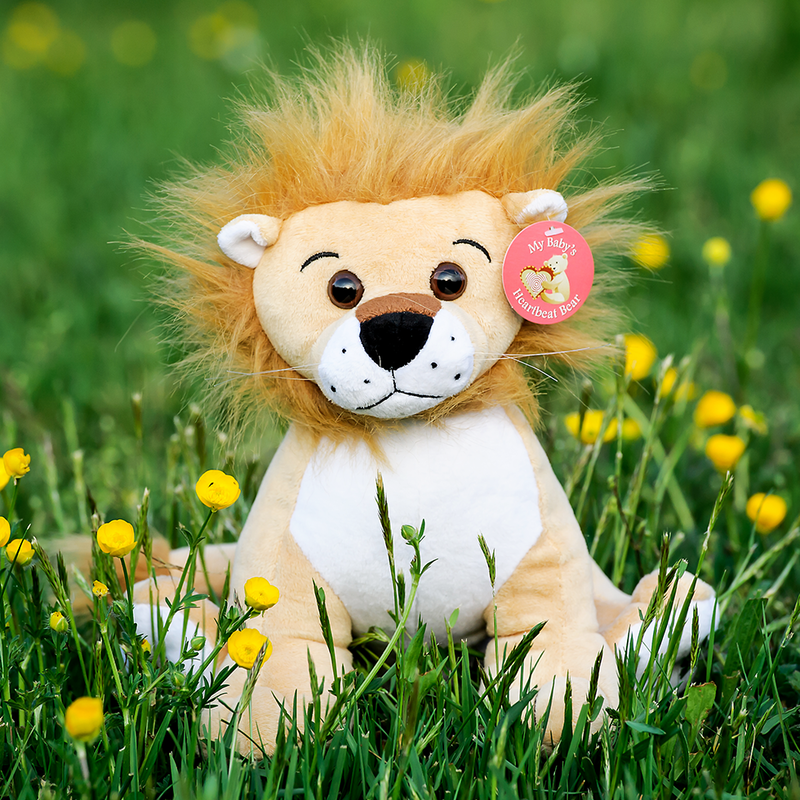 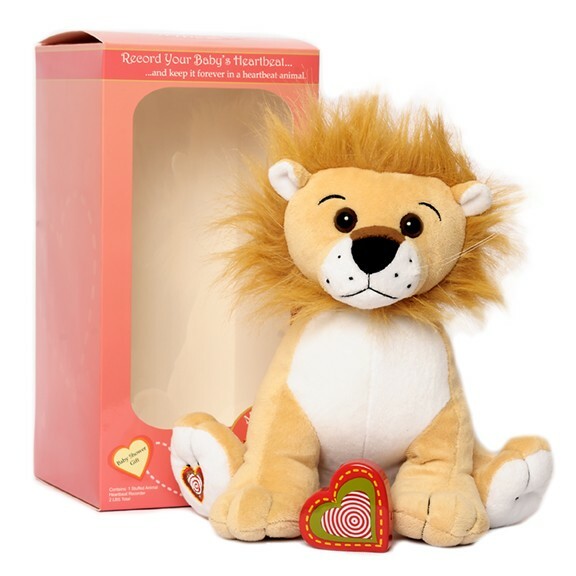 The Lion Kit includes an adorable tan lion and a special heartshaped recorder to capture the sound of your baby’s heartbeat in the womb. 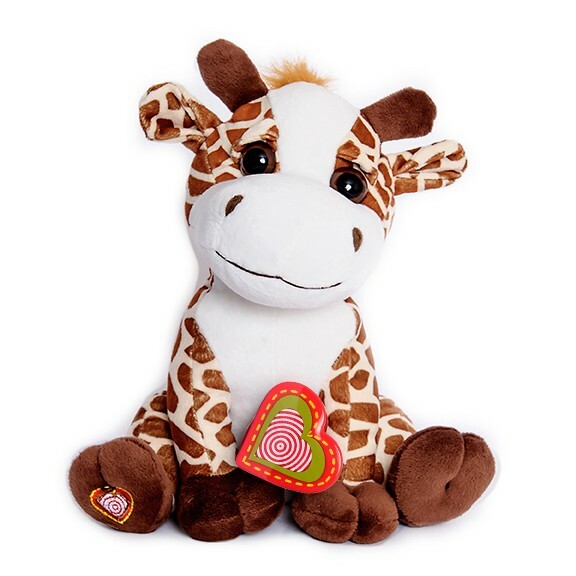 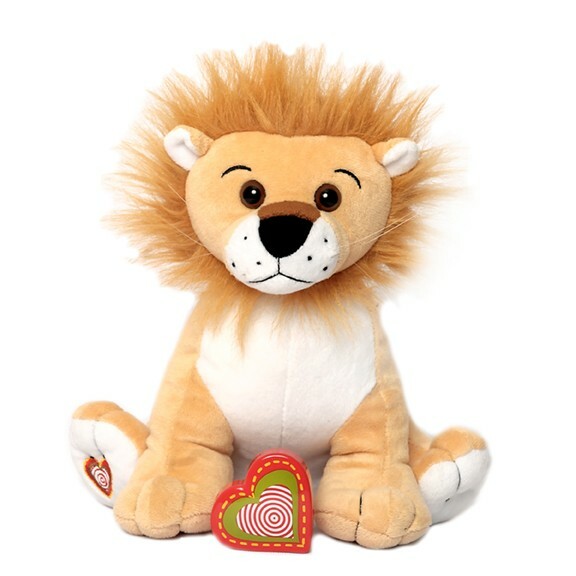 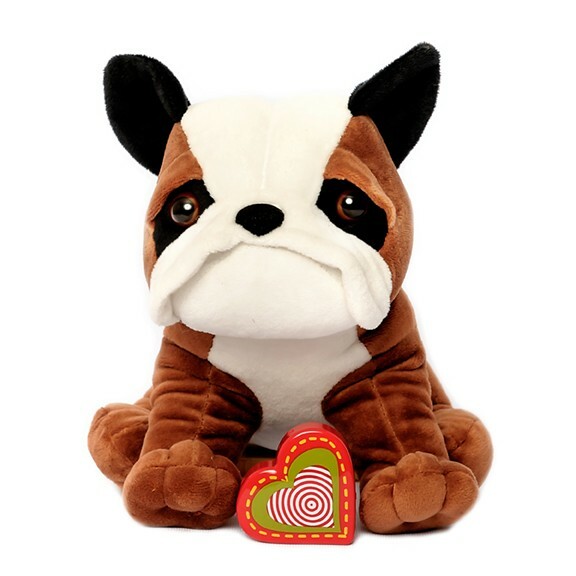 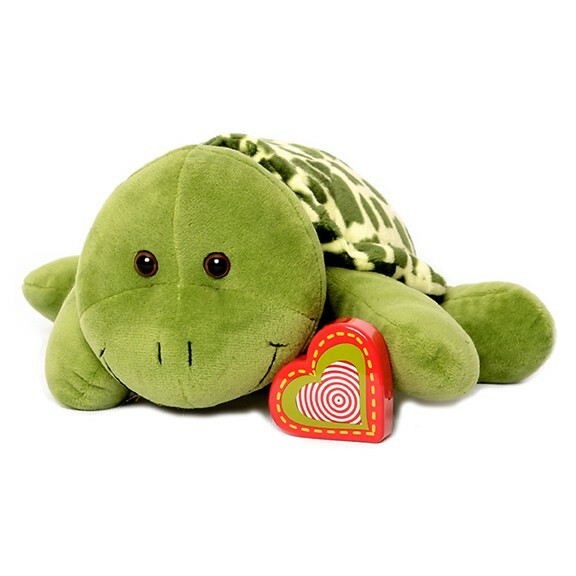 The lion is a very soft fleece like material with poly fiber stuffing, and a velcro closure opening in the back where you can place the recorded heartbeat. 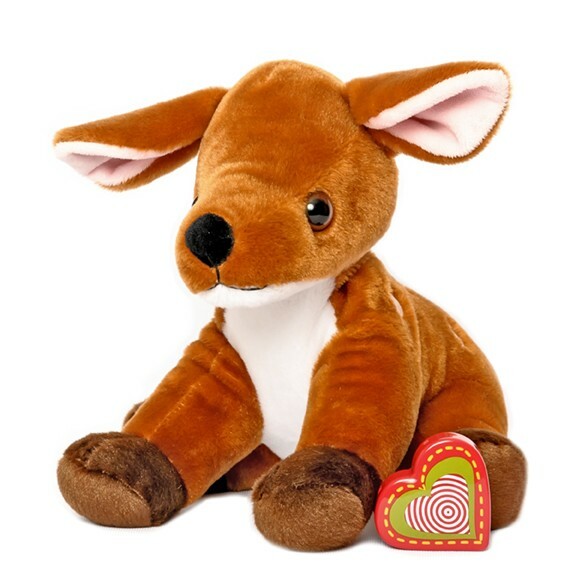 Massimo is approximately 11 inches tall.